For decades organizations around the world have been investing in employee engagement, yet the scores don’t improve. In fact, employer investment in the U.S. has never been higher while the scores remain stubbornly low. How can this be possible? We’re seeing the rise of employee experience but how did we get to where we are today? It turns out this has been an evolution in the making for many decades. Decades ago the relationship we had with our employers was pretty straightforward: Employers had jobs they needed, we had bills to pay, things we wanted to buy, and certain skills we could offer, so we tried to get that open job. This basic relationship also meant that work was always about utility, that is, the bare-bones, essential tools and resources that an employer can provide employees to get their jobs done. Today that is typically a computer, desk, cubicle, and phone. In the past this may have been a desk, pen, notepad, and phone, or perhaps just a hammer and nails. That was it. No catered meals, flexible work, or bringing your dog to the office. After the utility era came the productivity era. This is where folks like Frederick Winslow Taylor and Henri Fayol pioneered methods and approaches to optimize how employees worked. Managers literally used stopwatches to time how long it would take employees to complete a task to shave off a few seconds here and there. It was analogous to trying to get a sprinter or swimmer to improve his or her lap time. All of this was designed to improve productivity and output while emphasizing repeatable processes, such as the famous factory assembly line. Next came engagement, a radically new concept where we saw the collective business world say, “Hey, maybe we should pay more attention to employees and what they care about and value instead of just trying to extract more from them.” And thus, the era of engagement (or enlightenment) was born. This was actually quite a revolutionary approach that shifted some of the focus away from how the organization can benefit and extract more value from employees to focusing on what the organization can do to benefit the employees and understand how and why they work. The more engaged an employee is, the better! This is where we stopped and where we have been for the past two or three decades. There have been all sorts of studies that have shown engaged employees are more productive, stay at the company longer, and are generally healthier and happier. Unfortunately today, inside of most organizations around the world, employee engagement has become the equivalent of a short-term adrenaline shot to a long term problem, it provides a temporary boost to satisfaction and then drops off. Employee engagement has become the idea of forcing employees to work in outdated workplace practices while giving them perks to distract them from their “office-space” lives. 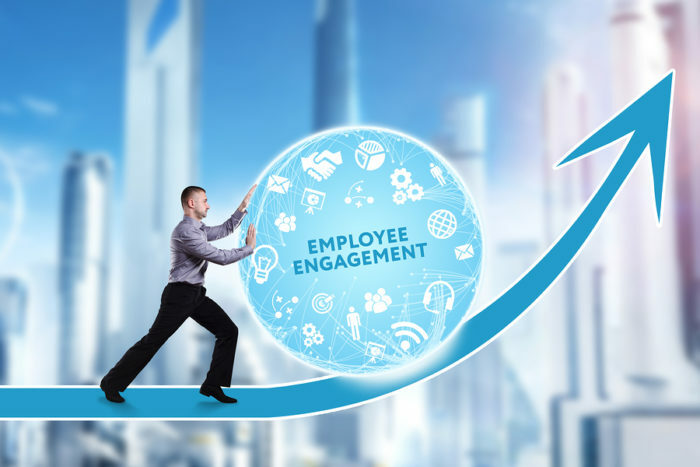 If employee engagement has become the short-term adrenaline shot then employee experience is the changing of the core workplace practices around your employees. The experience that your organization can design is the overlap of the employee’s needs, expectations, and wants, and your organization’s ability to deliver on those needs, expectations, and wants. But the good news is that every single employee experience for every employee at every organization around the world is comprised of three environments: culture (how you feel), technology (the tools you use to get your job done), and physical space (the actual space in which you work). To create an amazing employee experience organizations must invest in and do an amazing job at all three. One thing is resoundingly clear. The organizations who invest in employee experience crush the competition in terms of stock price performance, revenue, profit, turnover, and other metrics that I looked at. It’s the Experiential Organizations that will dominate the future of work.